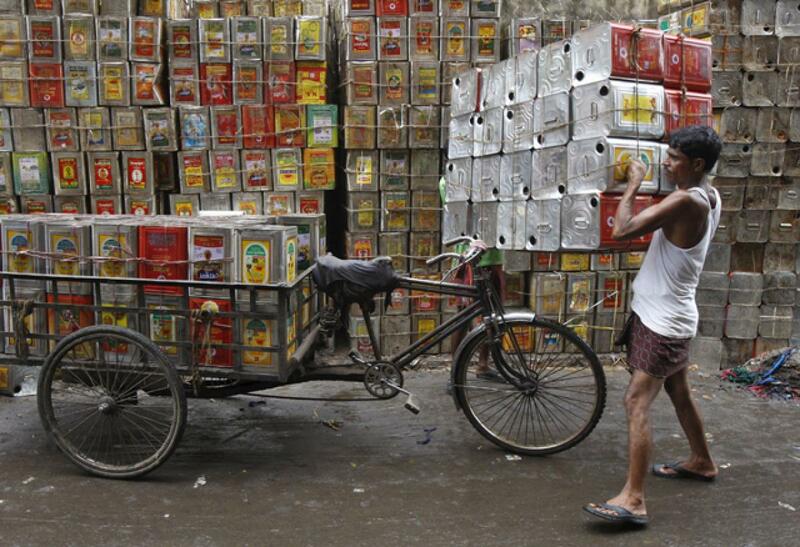 Cheap palm oil imports hit Indian cos hard . Rajesh Agrawal had built two large oilseed crushing mills in central India, betting on rising local consumption of edible oils. But now after 30 years of soaring demand and good business, his main mill is shut and covered in grass. Dewas, MP: Rajesh Agrawal had built two large oilseed crushing mills in central India, betting on rising local consumption of edible oils. But now after 30 years of soaring demand and good business, his main mill is shut and covered in grass. Agrawal's shuttered soybean plant highlights the malaise gripping Indian crushers, who have been forced to use a fraction of their capacity as the domestic market stays awash with cheap rival palm oil from top producers Malaysia and Indonesia. Now with Malaysian palm oil prices near 6-1/2 year lows, imports could rise even more, undermining Prime Minister Narendra Modi's efforts to make the country self-sufficient in edible oils, overseas purchases of which exceed $10 billion per year - India's third-highest such spend after oil and gold. "In the next year, palm oil imports could rise up to 10 million tonnes from around 9.3 million tonnes this year. At the current price level other oils can't compete with palm oil," said Nitesh Shahra, president of the refinery division of Ruchi Soya, the country's biggest edible oil refiner. "Already our import dependency has gone up from 30 percent to nearly 70 percent in the last few years. It will go up further unless we make oilseeds remunerative for farmers by increasing import duty," he added. Massive imports have driven down Indian soybean prices by 20 percent in four months, discouraging farmers from expanding oilseed area. But despite this, local soyoil is still 50 percent costlier than imported palm oil. "Oilseed cultivation is not profitable. There is no guarantee of prices and yield," said Mukesh Patel, who cultivates soybeans in Dewas, a district in the central Indian state of Madhya Pradesh. "Next year I will switch to corn. It costs less and gives better returns," he added. In the past 20 years, India's edible oil output has risen only about a third whereas imports have surged twelve times to 14.4 million tonnes to keep pace with growing consumption, making it the world's top buyer of cooking oils. While India does have a crushing capacity of more than 30 million tonnes, utilization is at below 30 percent due to a scarcity of oilseeds, said Pravin Lunkad, president of industry body the Solvent Extractors' Association of India.